ABC News and the UN Foundation have launched an initiative engaging millions of Americans to support millions of moms across the globe around the critical issues of pregnancy, childbirth and children’s health — moms here helping moms worldwide. The Million Moms Challenge will be featured on weekly segments on ABC News’ broadcasts including “Good Morning America,” “World News with Diane Sawyer,” “Nightline,” and “20/20,” as well as other ABC News platforms including ABCNews.com and ABC News Radio. The initiative will lead up to a one-hour prime time special on maternal health anchored by Diane Sawyer on December 16, 2011. 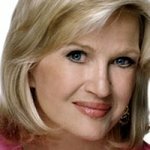 “There is so much we can do together – so many simple ways for us all to link arms to make sure every mother and child has a chance to lead a healthy life,” said ABC News anchor Diane Sawyer. Using the latest in social media strategies together with world-class broadcast and digital news platforms, this initiative will build a vibrant community that connects moms everywhere around things all mothers care about: the right nutrition to support their pregnancies, trained midwives to assist in safe deliveries of newborns, and vaccines that allow children to survive to celebrate their first birthdays and beyond. Every 90 seconds a woman dies during pregnancy or childbirth, yet we have the knowledge to prevent 90% of all maternal deaths. More than 50 million women give birth without a skilled birth attendant every year. Up to 1.5 million newborns die within the first 24 hours of life, and an additional 1 million babies are stillborn, almost all of whom could be saved with better care at birth. Every 20 seconds, a child dies of a vaccine-preventable disease. As part of the initiative a dedicated website will provide a live, interactive forum for some of the nation’s top mom bloggers to share their stories and ideas through blogs and video posts in real time with moms and midwives in the developing world. Viewers who want to know more and get involved will find ways, large and small, to make a meaningful impact through simple, inexpensive interventions that make a real difference for mothers and children around the world. The Million Moms Challenge is asking a million Americans to join the movement by signing up on the Challenge’s website or on Facebook. “You don’t have to be a mom to help a mom,” said Kathy Calvin, CEO of the UN Foundation. “A healthier tomorrow for our world starts with healthy moms and babies today. The Million Moms Challenge gives us the chance to make history by sharing stories, ideas and sparking a global conversation that will help the United Nations build a global partnership for healthy lives,” she added. The Million Moms Challenge is a joint effort of ABC News and the UN Foundation, in conjunction with corporate partners Johnson & Johnson and Baby Center, a member of the Johnson & Johnson family of companies. BabyCenter will encourage its 25 million moms in the United States and overseas to join the Million Moms Challenge. In recognition of the first 100,000 people who sign on to the Million Moms Challenge, Johnson & Johnson will donate $100,000 to several of the biggest NGOs helping moms and babies throughout the world. The Million Moms Challenge partners include some of the world’s most respected NGOs, including African Medical and Research Foundation, CARE, Global Alliance for Improved Nutrition, GAVI Alliance, mothers2mothers, ONE, Partners in Health, Riders for Health, Save the Children, UN Foundation’s Shot@Life campaign, US Fund for UNICEF, White Ribbon Alliance and WorldVision. The Million Moms Challenge is part of the year-long global health series “Be the Change: Save a Life,” which is sponsored in part by the Bill & Melinda Gates Foundation. For more information about the Million Moms Challenge visit www.millionmomschallenge.com. To get involved in the conversation about healthy moms and babies around the world, follow @AMillionMoms on Twitter and use the hash-tag #MillionMoms. You can also like Million Moms on Facebook at facebook.com/millionmomschallenge.